10 years ago, did anyone think the Fast and Furious franchise would still exist? Perhaps via cheap direct-to-video films, I guess, but I doubt anyone thought it’d be a major franchise whose eighth entry made more than $1 billion worldwide in 2017. Much of that disbelief would stem from the fact the franchise’s second film – 2003’s 2 Fast 2 Furious - made less money than the 2001 original. From there, 2006’s Tokyo Drift showed a major decline in box office receipts. 2009’s Fast and Furious brought the series back from the dead, but that’s the subject of another review. Right now I’ll look at 2 Fast, the first sequel. At the end of the first film, LAPD cop Brian O’Conner (Paul Walker) turned rogue and went on the run from the law. He now lives in Miami, where he earns his keep via illegal street racing. Brian ends up apprehended by local police, and he encounters US federal authorities. They know of his past and will cut him a deal if he assists with the investigation of drug kingpin Carter Verone (Cole Hauser). Brian goes along with this but under one condition: he can choose his partner. The Feds agree, and Brian pairs with ex-con Roman Pearce (Tyrese Gibson), an old pal who now blames Brian for his incarceration. The two work through this animosity as they attempt to bring Verone to justice. I admit I’ve never been a huge fan of the Fast franchise, so I’ve come in and out of the series over the years. I saw the first film back in 2001 but didn’t rejoin the characters until 2011’s Fast Five. I missed 2013’s Fast and Furious 6 but took in 2015’s Furious 7 and 2017’s Fate of the Furious. Given how many of the flicks I skipped, I kind of enjoyed the chance to catch up with 2 Fast. In the later films, I’d gotten to know the Roman and Tej (Chris “Ludacris” Bridges) roles but didn’t understand how they entered the overall narrative, so I felt happy to finally fill in those gaps. 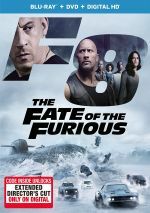 In terms of cast, 2 Fast comes with some obvious negatives, though, as a few significant Fast and the Furious actors fail to reappear here. In particular, the absence of Vin Diesel seems like a glaring blemish. Granted, the story of 2 Fast doesn’t really need Diesel’s Dom character, but I don’t get the impression this was an organic choice. I’m betting the producers wanted Diesel to return but couldn’t get him to agree to do so. This leaves 2 Fast with only one major Fast and the Furious participant, and Walker doesn’t offer enough charisma to make up for the missing castmembers. Gibson tries to pick up the slack, but he also falters, especially because he and Walker show little connection or charisma. Of the main actors, only Eva Mendes offers a good performance. As a customs agent, she shows actual personality and range, factors that mean she becomes easily the movie’s most compelling personality, even when burdened with an underwritten character. She’s not alone, as everything about 2 Fast feels flat and perfunctory. The story gives us a boilerplate “undercover investigation” theme, with the requisite vicious crime boss at the center. We’ve seen roles like Verone a million times, and as depicted by Hauser, he seems dishwater dull. Even the movie’s vaunted racing scenes fail to ignite. As depicted by director John Singleton, the driving sequences show lots of visual gimmicks and fast cutting but they lack any form of excitement or drama. The movie tries hard to wow us with flashy visuals but we never feel the speed or excitement, so the car-based components fall flar. As does pretty much everything else about 2 Fast. The movie gives us a paint by numbers story with bland characters and no sense of passion. It’s cinematic product. 2 Fast 2 Furious appears in an aspect ratio of approximately 2.35:1 on this Blu-ray Disc. Though it often looked strong, the film came with a few minor drawbacks. The main issue stemmed from light edge haloes, as those cropped up occasionally. These became most noticeable in wide shots and they created a bit of softness in those elements. Otherwise sharpness appeared positive, with nice accuracy and delineation. I saw no signs of moiré effects or jaggies, and print flaws remained minor, as I noticed a few small blemishes but nothing more. 2 Fast went with a bright neon palette that popped off the screen. The colors were vibrant and dynamic and looked terrific. Blacks seemed deep and dense, while low-light shots displayed nice clarity and smoothness. Without the distractions caused by the edge haloes, this would’ve been a great transfer. At least the movie’s DTS-HD MA 5.1 soundtrack dazzled, as it used the speakers to create a fantastic sense of the action. As expected, the driving scenes used the channels in an engrossing manner during which vehicles zoomed around the room in a lively, involving way. General atmosphere seemed satisfying and realistic as well, and music boasted good stereo presence. Still, the action scenes became the most significant, and they made this a stunning soundscape. Audio quality also pleased, with effects that appeared full and accurate. Low-end response was deep and firm, and dialogue sounded concise and distinctive. Music showed appropriate range and impact as well. The soundtrack worked very well and earned an easy “A”. As we shift to extras, we open with an audio commentary from director John Singleton. He provides a running, screen-specific look at story/characters, sets and locations, stunts, cars and action, cast and performances, and related domains. Singleton delivers a competent commentary. He gets into a good array of subjects, but he occasionally tends to simply narrate the movie. This means we learn a decent amount about 2 Fast but this doesn’t become a great chat. A staple of Universal Blu-rays, U-Control breaks into three categories. “Animated Anecdotes” acts as a text commentary that looks at cast/crew as well as aspects of the production. We get a decent mix of facts but the track feels mostly forgettable. With “Tech Specs”, we see occasional pop-ups. These offer basics about the cars used in the movie. Like “Anecdotes”, the “Specs” seem passable but not memorable. Finally, “Picture-in-Picture” mixes shots from the set with comments from Singleton, producer Neal Moritz, technical advisor Craig Lieberman, visual effects supervisor Michael Wassel, and actors Paul Walker, Tyrese Gibson, Eva Mendes, Cole Hauser, Devon Aoki, and Chris “Ludacris” Bridges. “PiP” examines the sequel and its story/characters, Singleton’s impact on the film, cars, stunts and action, cast and performances and locations. These include occasional nuggets of information but the clips are too brief and fluffy to add up to much. Deleted Scenes fill a total of six minutes, six seconds. These give us a little more character exposition, and that side of things makes them better than average. The film leaves its roles less than defined, so extra information helps. The scenes come with introductions from Singleton and editor Bruce Cannon. They deliver short notes that usually don’t tell us much. We also find two minutes, 43 seconds of Outtakes. These offer basic bloopers and they fail to turn into anything memorable. A short meant to span the first two movies, a Prelude goes for six minutes, 12 seconds. It offers Walker in an oddly dialogue-free experience that shows Brian’s activities between films. It’s not especially valuable but I guess it gives us a passable update. A slew of featurettes appear, and these launch with Fast Females. 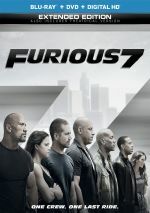 It takes up seven minutes, 54 seconds and offers notes from Singleton, Mendes, Aoki, Walker, professional race car driver Verena Mai, The Fast and the Furious director Rob Cohen, Tokyo Drift>/Fast and Fuurious director Justin Lin, and actors Jordana Brewster, Michelle Rodriguez, and Nathalie Kelley. “Fast” offers a look at the female characters in the franchise’s first four movies. It delivers almost no substance, as it serves to do little more than tell us how awesome the actresses are. Next comes the 13-minute, 23-second Hollywood Impact. It features Cohen, critic Leonard Maltin, stunt coordinator/2nd unit director Terry J. Leonard, Time columnist Joel Stein, and Petersen Automotive Museum Information and Marketing Manager Chris Brown. “Impact” looks at the use of cars in movies across the years – with an unsurprising focus on properties owned by Universal. Despite that self-promotional air, “Impact” gives us a decent view of the topic. With Inside 2 Fast 2 Furious, we find a 10-minute, two-second piece with Walker, Gibson, Mendes, Aoki, Singleton, Bridges, Moritzand Mendes. “Inside” examines cast, characters and performances, sets and locations, cars and action. It’s a dull promotional piece. After this, we get Actor Driving School, a three-part program that lasts a total of six minutes, 38 seconds. It shows us the training involved for Gibson, Walker and Aoki via comments from those actors as well as Singleton, Moritz, and stunt coordinator Artie Malesci. We see a little of the lessons, but this mostly turns into another package of breathless hyperbole. Tricking Out a Hot Import runs three minutes, 21 seconds and involves Lieberman. He discusses aspects of the movie’s cars in this passable – but again over the top – program. With that we go to the five-minute, 28-second Supercharged Stunts. It includes info from Singleton, Wassel, and special effects supervisor Al Desario. As expected, we get info about the movie’s action scenes. Though brief, this becomes one of the disc’s more useful programs. Making Music occupies four minutes, 59 seconds and features Bridges, Singleton, Mendes and Walker. “Music” takes us behind the scenes of the music video for “Act the Fool”. It’s forgettable. Up next we get Actor Spotlights (6:58) and Car Spotlights (9:15). The former bring us short looks at Walker, Gibson and Aoki, while the latter examine the Spyder, Evo VII and S2000. Across these, we hear from Gibson, Singleton, Walker, Aoki, Moritz, Bridges, Mendes, and Lieberman. The actor pieces are a waste of time, but the car clips offer some interesting tidbits. Finally, Furious Afterburners breaks into two segments; “The Derby Scene Extension” (2:21) and “Verone, Whitworth and Monica at the House” (1:02). These simply show scenes from the movie, a fact that makes “Afterburners” completely pointless. While I can’t claim I thought much of the first film in the franchise, 2 Fast 2 Furious seems even less compelling. The movie boasts no sense of energy or drama, so it ends up as a dull, one-dimensional affair. The Blu-ray brings us erratic visuals along with excellent audio and decent supplements. 2 Fast becomes a forgettable sequel.